One in stock that ships in one business day! 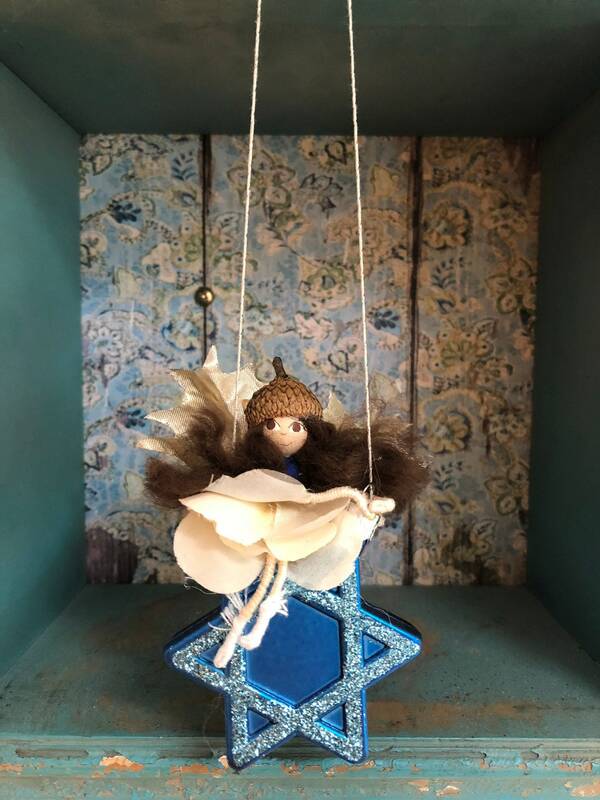 Or It’s not too late to order a custom Hanukkah Fairy in time! ( order custom fairy by December 1). 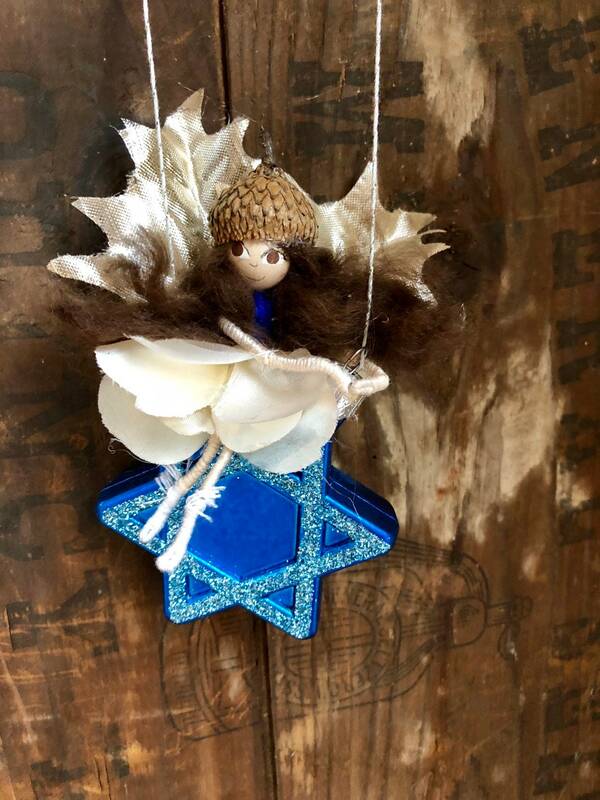 This adorable fairy sits a top a blue and silver star and hangs from silver thread. She wears blue and ivory and has beautiful translucent gold wings. 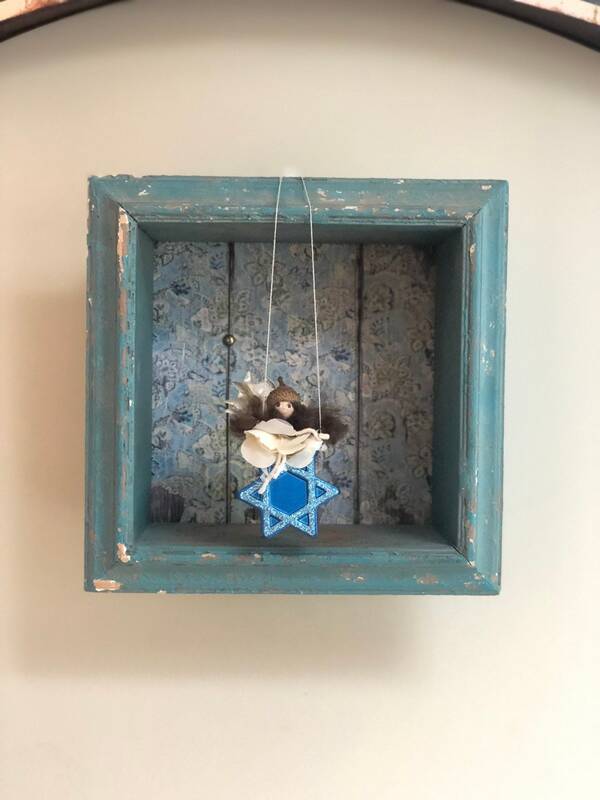 A great holiday gift and keepsake!